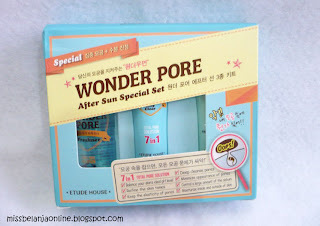 Etude House Wonder Pore After Sun Special Set is a trio of skin care essentials to deep clean, refine, and soothe irritated and tired skin due to hot and humid summer weather. It cares for your pores from deep within by penetrating deep with its special formula, containing Pasque Flower, Western dandelion, Chrysanthemum, and Cypress Extracts. Prevent and maintain enlarged pores, moisturize your skin and increase elasticity with just three simple steps! 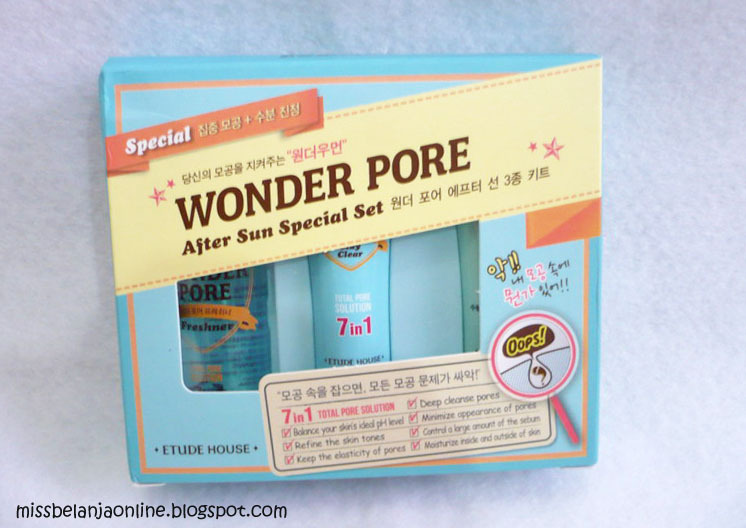 ❤ Wonder Pore Clay Clear: After Cleansing, apply a thin layer. Leave for 15-20 minutes. ❤ Moistfull Aloe Soothing Gel: After Wonder Pore Freshner, gently massage over face. The texture is clear water (like the other toner). There isn't any strange smell from this toner. I use it twice a day and so far it is really works to remove dirt and excess oil on my face. It makes my face looks moist and no tighten feeling after I use this. I love this toner so much!! *I want to buy the full tube :p*. Also so far it doesn't works negative for my skin. I live in Surabaya, where the sun shines super brightly even in the morning ha5. Because of that, I always seek for something "cold and fresh" everytime I went home after work and this set definitely the right choice! wow..i love to try this product..:)thx for making review about this. 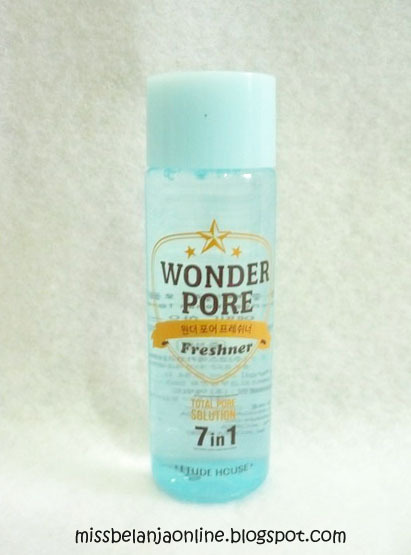 Great job on the review, ClearPores is an amazing product. Great review. I'm reviewing on Etude House Wonder Pore Modelling Clear.